Highly intelligent with fantastic recall, he is excellent with people and dogs! 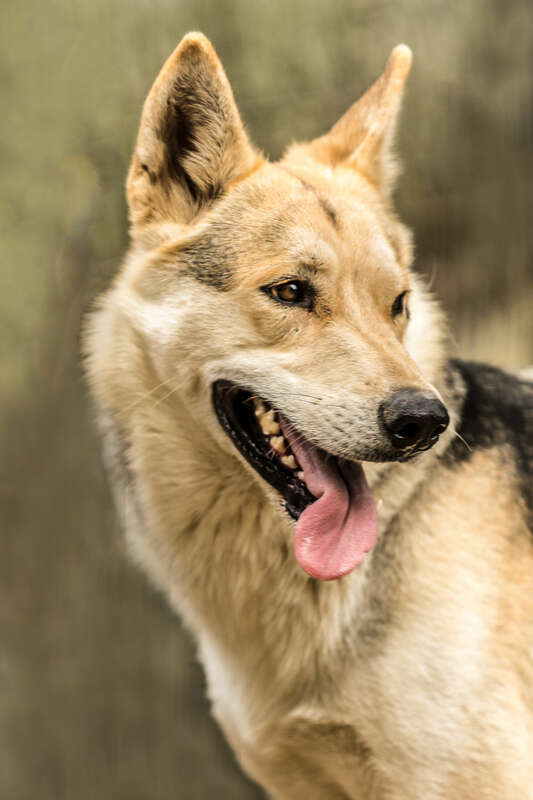 This beautiful German shepherd cross has had a rough start to his life, used as a security dog for the first few months of his life, he was betrayed and given up on, eventually finding his way to Husky Rescue, he has been here for three years now and is desperately looking for a family willing to give him the love he was denied. Born in 2012, he has spent most of his life in a kennel. His previous owners missing out on a supremely intelligent and loyal life-long friend, a lover with a heart off gold, he seems to think himself something of a casanova, and only truly accepts the company of the ladies, but will love and protect any child presented, although a calm and controlled environment is what he prefers best. He is a highly intelligent boy, and thus, highly trainable. His recall is excellent and you will find him trotting straight back to you with a simple command, his unconditional and everlasting love are editions to your family you simply cannot ignore, and the gift of his love is something impossible to look past. So open your heart and allow this angel the chance to change your life. Situated in Gauteng but can be relocated anywhere in SA if HRSA home check criteria are met.